It is a new era of medical travel for those seeking better options. We are here to help you find and access trusted, quality medical providers, wellness programs and health care related products across the globe, providing you with the comfort, ease and flexibility of accessing and organising the treatment and services you seek. You are our number one priority. Every single medical and wellness facility, and product provider has been vetted to ensure we only work with clinics, hospitals and providers we trust. 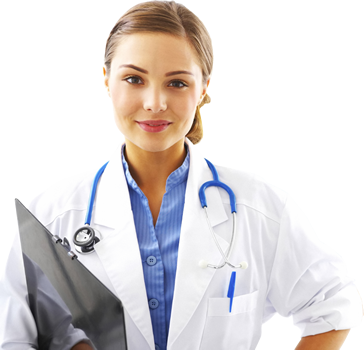 We give you clear, impartial, unbiased information to decide if medical travel is for you; being your single point of contact for various types of medical and wellness treatments and products across the globe. You will feel better knowing that we are with you, every step of the way. Best of all, we will organise everything at no extra cost to you and it comes with a best price guarantee. Come talk to us today on +61 3 94026490 or click on the Contact Us button to find out how we can help you! We will take care of all issues that may be related to your travel and treatment or program, allowing you to enjoy the benefits of medical and health tourism without the mountains of paperwork. All this while enjoying a stress free stay in some of the world’s most beautiful locations. We do everything – from liaising with the health care provider, to booking your flights, accommodation, organising your visas (if required) and even excursions for the rest of your family members or children! We also have options for the seasoned traveller, please contact us for more information. We do not believe that quality, essential health and medical services should be restricted to only the well-off. Our founder, Michael Dalip, started the company to enable you access to more affordable health and medical services. Why pay USD$250,000 for a cardiac bypass surgery in the United States, when the same procedure costs between USD$6,000 – USD$7,000 in Malaysia? (Source: Medical Tourism Guide 2016) Or why pay AUD$17,500 for a hair transplant (follicular unit extraction) procedure in Australia, when the same procedure costs between AUD$2,000 – AUD$4,000 in Turkey? (Source: Treatment Abroad 2016).Our team is passionate in making this process as simple and as easy as possible, for your peace of mind. The high costs of health care and medical procedures in many countries has led us to conduct independent research, which includes physically visiting all of the clinics, hospitals and medical facilities; conducting a thorough vetting process of our short listed partners; and interviewing surgeons and health care providers to find the best medical treatments from reputable and accredited health care facilities at a fraction of the cost you would pay for the same treatment in Australia, in the United States, and in the United Kingdom. Once you have confirmed that you are happy to proceed, we will then organise your travel, accommodation, visas (if required) and any activities your family or children would like to participate in whilst you recover. Additionally, we will also provide you with information about popular destinations nearby for you and your family to enjoy. We understand that that travelling to a new and unknown country for a medical or health treatment can be stressful, that is why we also assign you with a dedicated Relationship Manager to ensure your experience with us is as pleasant as possible. To assist you with your healing process, we can organize special after care wellness spa packages that are specifically designed to put your body at an optimum healing level, whilst allowing you to relax and unwind from the stresses of surgery. After you have fully healed from your procedure, you also have the option of exploring the country’s vibrant, charming and beautiful sites. From the scenic country side, to the enchanting markets, to the bustling city centres; you choose what you would like your adventure to consist of.